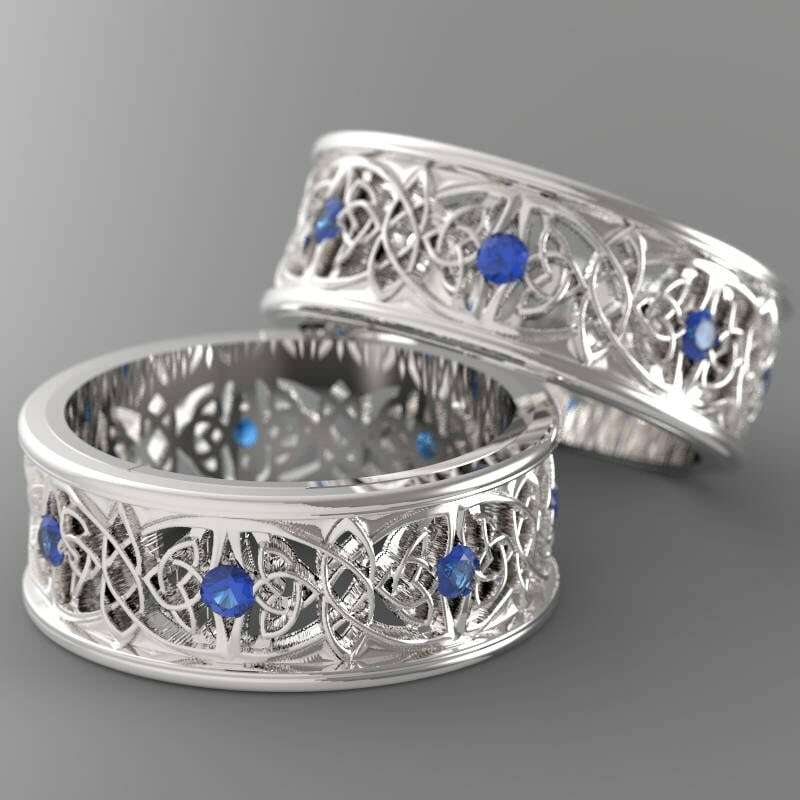 This listing is for a SET OF 2 RINGS! For some reason, Etsy won't let me put in a second ring size option, so I just tell people to select the size of the first ring and put the size for the second in the notes. 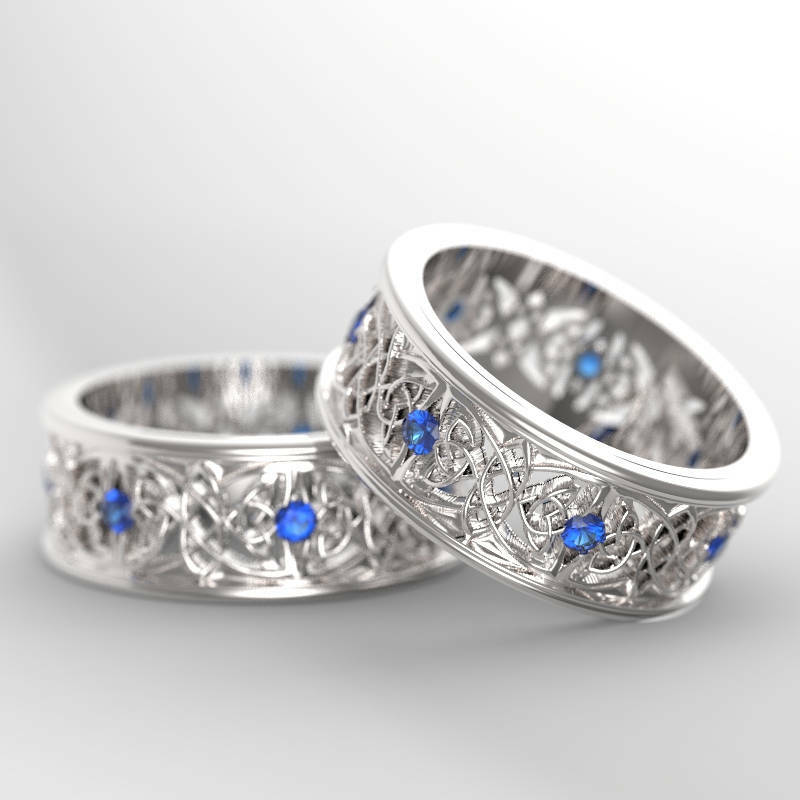 This ring has a design that incorporates the "Trinity Knot" and intertwines it with the "Dara Knot" creating an elegant butterfly design with Blue Sapphire Stones. The Trinity Knot is often used to represent the mother, father and child. While the Dara Knot is associated with the oak, reminding us that beneath our surface (beneath the soil) we have vastly divine inner resources (root system) that lend us wisdom and stability. 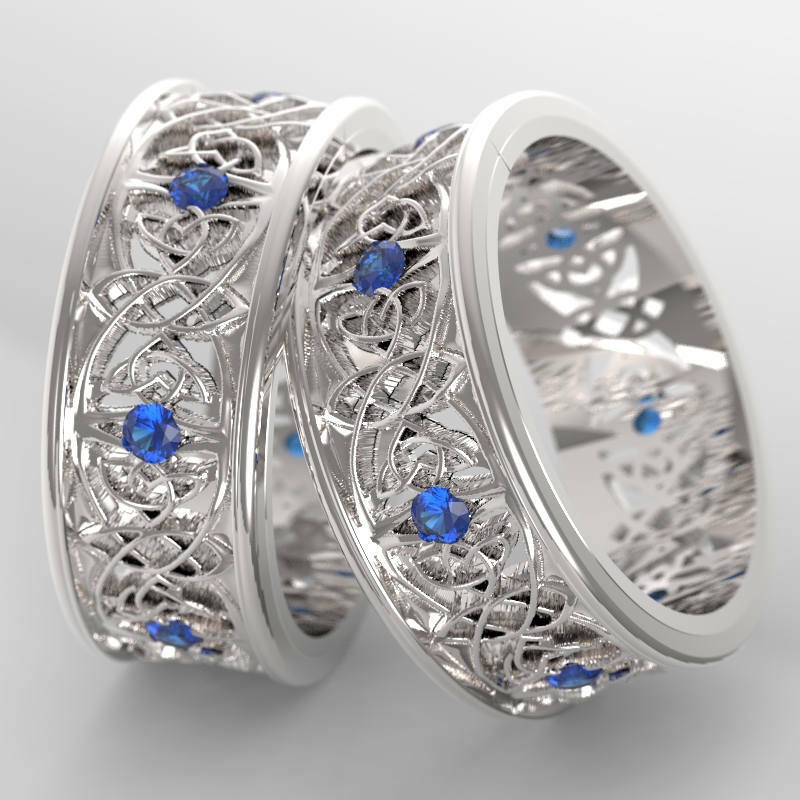 What a great way to commemorate the union of two lovers and the beginning of family. A graceful and intricate design. 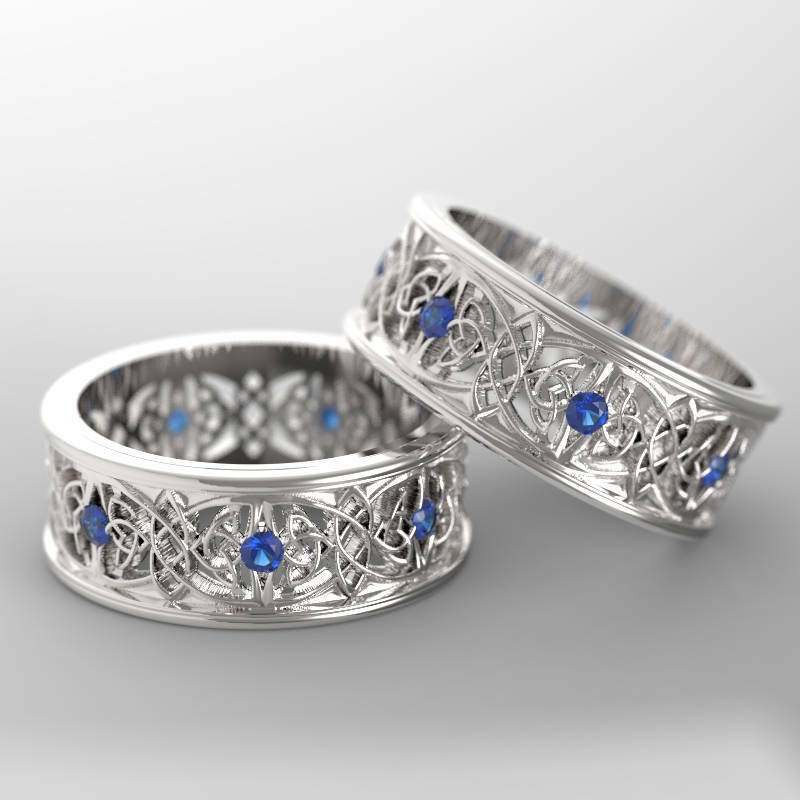 Cast in solid sterling silver, and adorned with Blue Sapphire stones, these rings are made of 100% recycled metal. All stones are conflict free, and we personally choose all of our own stones to ensure quality. 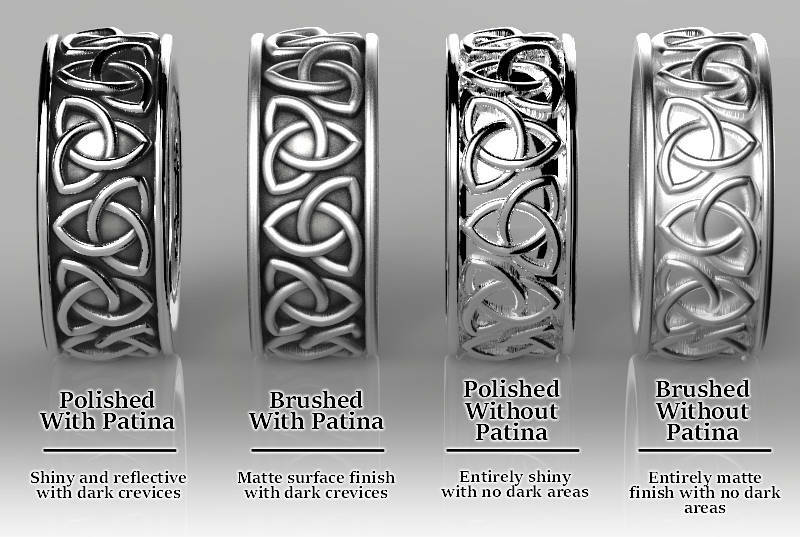 We polish these rings, but can put a brushed finish on these rings upon request.